The six models — including the C12, C14, C16, C16X, C24X and the C30X trenchers — dig at depths between 24 and 48 in. (61 and 122 cm). The Ditch Witch CX-Series trenchers are equipped with the CX Track system, which includes a shorter left track and longer right track, allowing better traction and a shorter overall length for enhanced maneuverability in tight spaces. The C-Series trenchers feature an offset rear-tire design that delivers balanced traction and stability for increased production, according to the manufacturer. “With the C- and CX-Series of walk-behind trenchers, we continue to provide reliable and operator-friendly products that maximize return on investment, particularly equipment rental companies,” said Andrew Schuermann, product manager, compact equipment, the Ditch Witch organization. The new compact design allows for greater visibility of the workstation, improving operator productivity. Re-designed, ergonomic controls increase machine responsiveness. Routine maintenance is simplified by easy access to the machine's components, reducing downtime and allowing operators to spend more time on the job site and less time in the shop. With no daily grease points, keeping the trenchers rental-ready requires less hassle and prep time. The six models — including the C12, C14, C16, C16X, C24X and the C30X trenchers — dig at depths between 24 and 48 in. (61 and 122 cm). 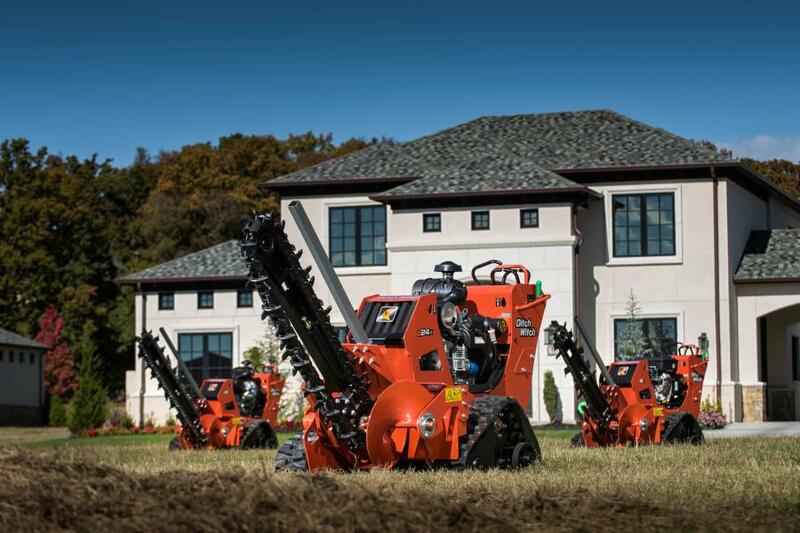 This new lineup utilizes the Ditch Witch 35K digging system or the new exclusive OptiCut digging system — both specifically designed to work with Ditch Witch trenchers to optimize production and performance. For more information, visit http://www.ditchwitch.com/trenchers.